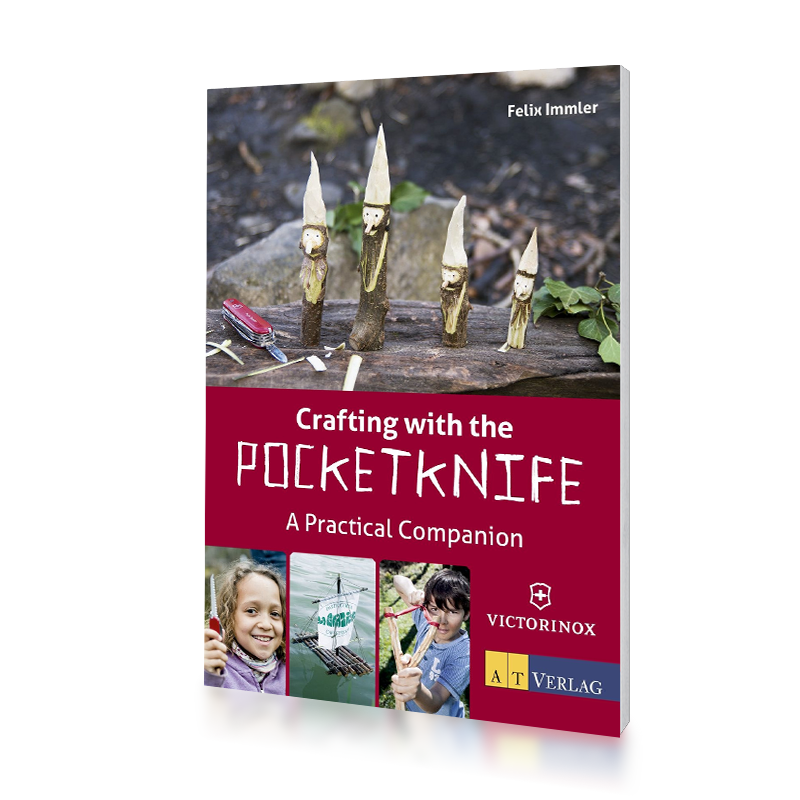 A simple Victorinox pocket knife with a wooden saw and this small book in your pocket – you are ideally equipped to work with children to create exciting work projects. 15 hands-on, highly-illustrated, step-by-step tutorials show you how to make sound bars, gyros, sailboats, water bikes and much more. For this purpose the most important application techniques, the maintenance of the knife and all the necessary safety rules. 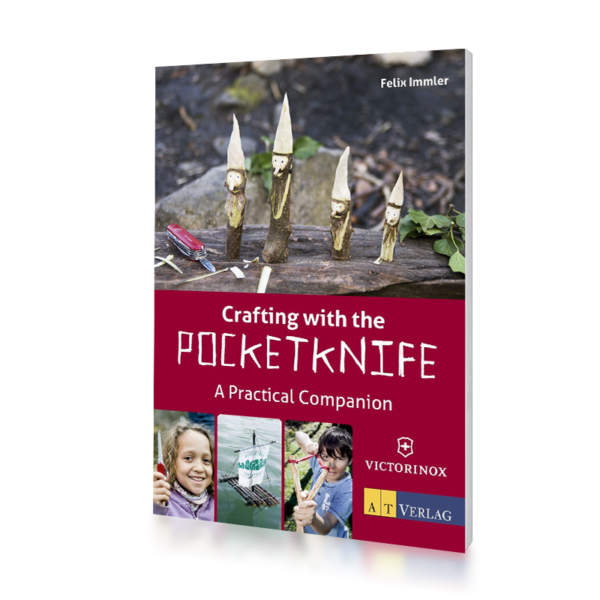 Just slip a basic Victorinox pocketknife with a wooden saw and our handy little pocket guide in your backpack – and you are all set to take your kids out into nature to make exciting craft projects with the materials you find along the way. Our richly illustrated pocket companion shows you how to make sailboats, spinning tops, water wheels and more through easy to follow easy step-by-step instructions. All projects have been field-tested by the author and are specially selected for this book. You will also learn about the most important craft techniques, how to care for your knife and how to handle it safely and responsibly.